Jan is an Architect MAA & FRIBA, Professor Emeritus of Urban Design at the School of Architecture in Copenhagen. Jan is a Founding Partner at Gehl Architects. 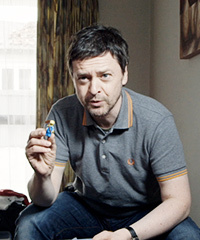 He was awarded an international honorary fellowship to the Royal Institute of British Architects (Int. FRIBA) in 2006 and to the AIA, the American Institute of Architecture and the Canadian Institute of Architecture in 2008. 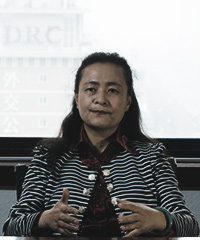 The Energy Foundation’s Beijing Representative Office is a non-profit organization officially registered under China’s Ministry of Civil Affairs with sponsorship from the National Development and Reform Commission. With an emphasis on both national policy and regional implementation, CSEP assists Chinese agencies, experts, and entrepreneurs in solving energy challenges. 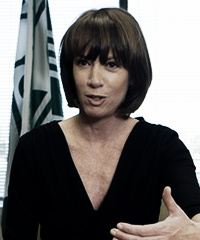 Janette Sadik-Khan has served as the Commissioner of the New York City Department of Transportation since her appointment by Mayor Michael R. Bloomberg in April of 2007. She oversees a budget of more than $2 billion, manages 4,700 skilled employees with wide-ranging expertise, from engineering to construction finance and marine navigation, and is responsible for the operation and maintenance of 6,300 miles of streets and highways, nearly 800 bridges, 1.3 million street signs, 300,000 streetlights and 12,000 signalized intersections, as well as the Staten Island Ferry, the nation’s busiest commuter ferry service carrying more than 21 million passengers annually. 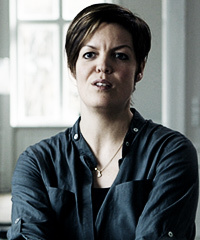 Helle has extensive international urban design experience with projects within the wide spectrum of the office works. Helle furthermore has teaching experience in both Urban Design Theory and Studio Work, and has been representing the office at a wide range of internationally renowned conferences as a keynote speaker. Helle has gained an MA in Architecture and Urban Design from Copenhagen, Denmark as well as an MA at the University of Washington, Seattle, USA. 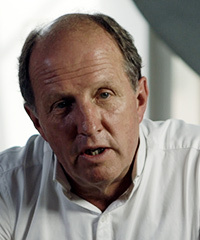 Rob Adams is an architect and Urban_design” urban designer, Director of City Design at the City of Melbourne, Australia. He won multiple awards as the leader of the revitalization of the Melbourne City Centre and surrounds, helping to create a vibrant city streetscape with innovative design features. The City Design Division lead by Adams has received over 100 state and national awards for design excellence since the 1980s Order of Australia (AM) in 2007 for services to urban design, town planning and architecture. Prime Minister’s Environmentalist of the Year, 2008 (Australia). Sidney Luker Medal, Planning Institute of Australia NSW, 2009. Melbourne Achiever Award, Committee for Melbourne, 2007. Australian Award for Urban Design for Transforming Cities report, 2009. 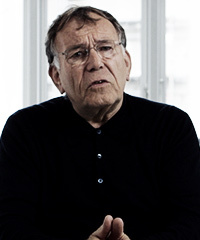 His main area of work at Gehl Architects is master-planning and urban design, collaborating with other professionals in the planning and building process, applying Jan Gehl’s theories to large-scale projects. David is also renowned as an inspiring educator and lecturer, and has taught at architecture and design schools all over the world. His work at Lund University expanding and developing teaching methods led to a number of pedagogical awards and distinctions.